Visit and use our website. 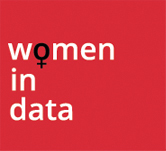 Personal information we collect when you attend a WiD conference or subscribe to the community. When you register with WiD hosted by Datatech or sponsored by Datatech and/or our partners, we ask for your name, address, and email address. You may be asked to provide additional information (such as member reviews, photos or videos) or to answer certain questions, some of which may be optional, in order to participate. We may use the personal information you provide to contact you in connection with a particular conference , for example, to update you, administer the Conference and for other purposes. We may use information from you and third party sites to show you relevant advertising on third party sites (e.g. Facebook, Google, Instagram, LinkedIn, and Twitter). This could involve showing you a message on social media. If you don’t want to be shown targeted advertising messages from WiD, third party sites may allow you to request not to see messages from specific advertisers on that site in the future. In addition, social media providers, such as Facebook, may send us information about you in line with their policies. If you wish to prevent that sharing, you can do so by editing your Facebook privacy settings or the relevant settings/preferences for other social media providers. When you use the WiD community website, we receive and record information from your computer and browser, including your IP address and WiD cookie information. To provide you with WiD services and to improve and promote our conferences and the WiD community. However, we will normally collect personal data from you only where: (a) where we need the personal data to perform a contract with you (e.g. to provide you with the services you have subscribed to. ), or (c) where the processing is in our or a third party’s legitimate interests (and not overridden by your data protection interests or fundamental rights and freedoms). In some cases, we may also have a legal obligation to collect personal data from you, or may otherwise need the personal data to protect your vital interests or those of another person (though this is less common). We may contract with third parties to analyse our customer data and/or handle web chat, email, customer services and other services. to protect the safety of our employees and our customers, or any person. A web beacon is activated as part of a web page or email and allows us to count visitors to our websites and to recognize users by accessing WiD cookies which help us personalise your experience when you use our Services. Our website includes Social Media Features, such as the videos from You Tube and Widgets, or interactive mini-programs that run on our site. These Features may collect your IP address, which page you are visiting on our website, and may set a cookie to enable the Feature to function properly. Social Media Features and Widgets are either hosted by a third party or hosted directly on our website. We retain personal information we collect from you where we have an ongoing legitimate business need to do so, for example, to provide you with a service you have requested. When we have no ongoing legitimate business need to process your personal information, we will either delete or anonymise it or, if this is not possible (for example, because your personal information has been stored in backup archives), then we will securely store your personal information and isolate it from any further processing until deletion is possible. If you request deletion of your data, it is our practice to deactivate your account and block further email deliveries to you in approximately ten business days. privacy-WiD@datatech.org.uk in the promotion/marketing emails we send you. To opt-out of other forms of promotion/marketing (such as postal marketing or telemarketing), then please contact us using the contact details provided under the “How to contact us” heading below. WiD may update this Policy from time to time so you may wish to check it each time you submit personal information to WiD. We will post any update(s) to this Policy on our websites. All update(s) will be effective immediately on posting. The date on which this Policy was last updated is shown at the top of the Policy. If you do not agree to these changes, please do not continue to use the WiD website or services to submit personal information to WiD. Important note: The data controller of WiD personal information is Datatech Analytics.